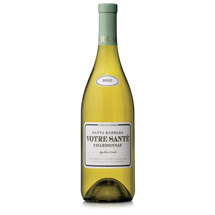 Votre Santé wines pay tribute to Francis Ford Coppola’s grandmother, Maria Zasa, who would toast with the traditional French phrase, ‘à votre santé,’ every time she raised her glass. 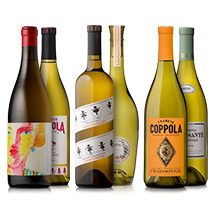 In her honor, we’ve proudly added to our lineup of wines an appellation-specific Chardonnay and Pinot Noir, two Burgundian varietals well adapted to a cool climate and crafted in a terroir-centric style to showcase the character of a specific region. The French approach to winemaking embraces the philosophy of terroir. That is, the character of a wine is defined by variables such as soil, climate, geology and elevation, all in combination with how the vines are farmed and cared for. In this spirit, it’s the winemaker’s role to work with the wine in a way that simply lets the vines express themselves. Winemaker Francois Cordesse applies this philosophy to our ‘micro cru’ Chardonnay, whereby small lots of fruit are vinified individually by soil type to capture distinct site-specific traits. By bottling the final blend unfiltered, the wine exists in a purer state with more texture and truer aromatic expressions, along with natural sediment that helps the wine mature and evolve as was the tradition for hundreds of years. tend to be particularly aromatic and weighty. 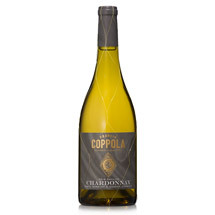 The beauty of Santa Barbara Chardonnay is that it develops a lush, voluminous palate that is very well balanced and finely tuned because of the fruit’s high level of natural acidity. Barrel fermented to accentuate a warm wood and vanilla character, as this wine matures these nuances will melt down into a desirable butterscotch tone. Malolactic fermentation and regular battonage was used to create a rich, silky mouthfeel. 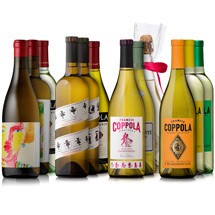 Fleshy and bold on entry, the wine flaunts fragrant impressions of pears, green apple, quince and honeysuckle, with varied citrus notes of lemon and kumquat. The contrast between sweet, juicy fruits and the distinct note of minerality is exemplary of the terroir from this region.